Our organization is prominently engaged in manufacturing and exporting a broad array of superior quality Transparent Colour Granules. Our offered range of reprocessed Transparent Colour Granules is a kind of thermoplastic polymer which has extensive uses in varied applications like textiles, automotive components, laboratory equipments and loudspeakers. 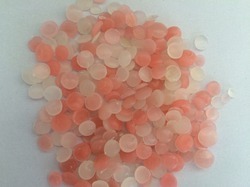 Looking for Transparent Color Granules ?